CFD members from the Greater Chambersburg Area Paid Firefighters Association I.A.F.F. Local 1813 presented the Cumberland Valley Breast Care Alliance with a donation from the proceeds made from the “Hosing Out Cancer” T-shirt sale. 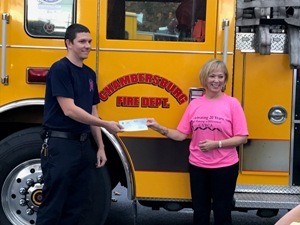 Sharon Brosius, Executive Director, accepted the donation. 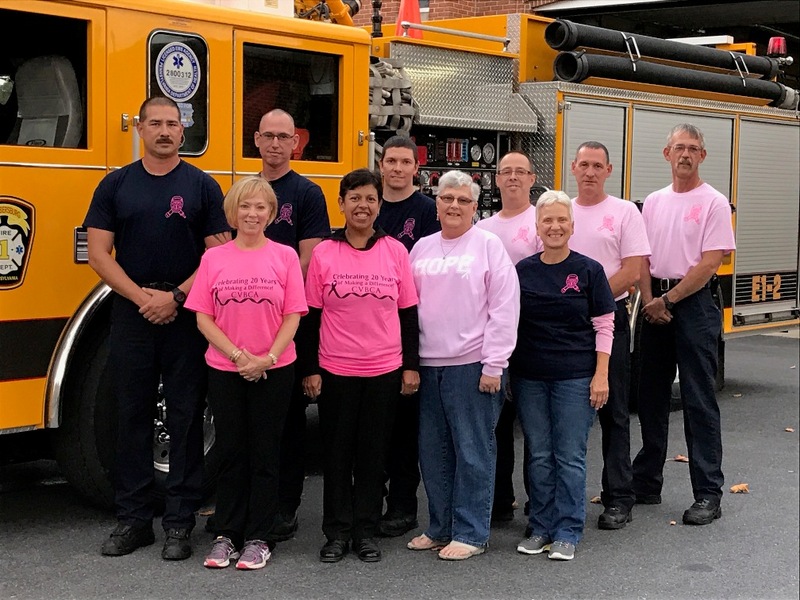 The CVBCA is committed to fighting breast cancer through community awareness activities, public education, and the promotion of early detection of the disease.